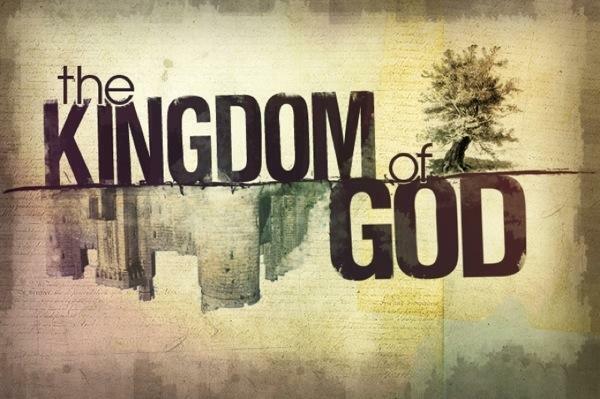 Many people, faced with the challenge to work for God’s kingdom in the present, will at once object. “Doesn’t that sound,” they will ask, “as though you’re trying to build God’s kingdom by your own efforts?” Well, if it does sound like that, I’m sorry. It wasn’t meant like that. Perhaps some further clarification is needed. Let’s be quite clear on two points. First, God builds God’s kingdom. But God ordered his world in such a way that his own work within that world takes place not least through one of his creatures in particular, namely, the human beings who reflect his image. That, I believe, is central to the notion of being made in God’s image. God intends his wise, creative, loving presence and power to be reflected—imaged, if you like—into his world through his human creatures. He has enlisted us to act as his stewards in the project of creation. And, following the disaster of rebellion and corruption, he has built into the gospel message the fact that through the work of Jesus and the power of the Spirit, he equips humans to help in the work of getting the project back on track. So the objection about us trying to build God’s kingdom by our own efforts, though it seems humble and pious, can actually be a way of hiding from responsibility, of keeping one’s head well down when the boss is looking for volunteers. Not that one can go on eluding God’s call forever…but still. Second, we need to distinguish between the final kingdom and the present anticipations of it. The final coming together of heaven and earth is, of course, God’s supreme act of new creation, for which the only real prototype—other than the first creation itself—was the resurrection of Jesus. God alone will sum up all things in Christ, things in heaven and things on earth. He alone will make the “new heavens and new earth.” It would be the height of folly to think that we could assist in that great work. But what we can and must do in the present, if we are obedient to the gospel, if we are following Jesus, and if we are indwelt, energized, and directed by the Spirit, is to build for the kingdom. This brings us back to 1 Corinthians 15:58 once more: what you do in the Lord is not in vain. You are not oiling the wheels of a machine that’s about to roll over a cliff. You are not restoring a great painting that’s shortly going to be thrown on the fire. You are not planting roses in a garden that’s about to be dug up for a building site. You are—strange though it may seem, almost as hard to believe as the resurrection itself—accomplishing something that will become in due course part of God’s new world. Every act of love, gratitude, and kindness; every work of art or music inspired by the love of God and delight in the beauty of his creation; every minute spent teaching a severely handicapped child to read or to walk; every act of care and nurture, of comfort and support, for one’s fellow human beings and for that matter one’s fellow nonhuman creatures; and of course every prayer, all Spirit-led teaching, every deed that spreads the gospel, builds up the church, embraces and embodies holiness rather than corruption, and makes the name of Jesus honored in the world—all of this will find its way, through the resurrecting power of God, into the new creation that God will one day make. That is the logic of the mission of God. God’s recreation of his wonderful world, which began with the resurrection of Jesus and continues mysteriously as God’s people live in the risen Christ and in the power of his Spirit, means that what we do in Christ and by the Spirit in the present is not wasted. It will last all the way into God’s new world. In fact, it will be enhanced there.